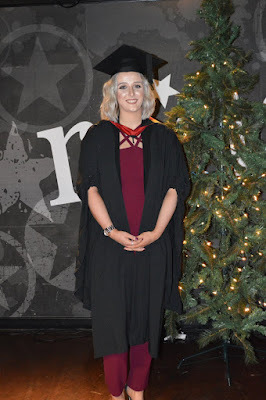 After years of stress and horror and despite my university dismay, I successfully graduated from Northumbria University and with a 2:1 honours in tow. Not only am I in my dream first job as a Registered Staff Nurse, specialising in long-term stroke patient care, but I am working in one of the best hospital trusts in the whole of England. Check me out eh?! These are a collection of images my lovely Grandad took of me and my family enjoying a day of laughing, prosecco drinking and posh nosh eating. Definitely a highlight of 2016 for me. After struggling doing a 37.5 hour working week, hours of studying, working 2 part time jobs as well as trying to blog, my life was mayhem, so this day was and possibly will be the biggest celebration I will ever have as I was and still am so proud I finally did it!